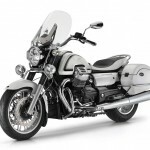 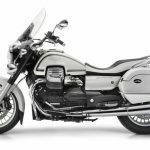 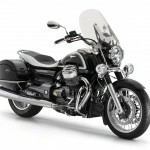 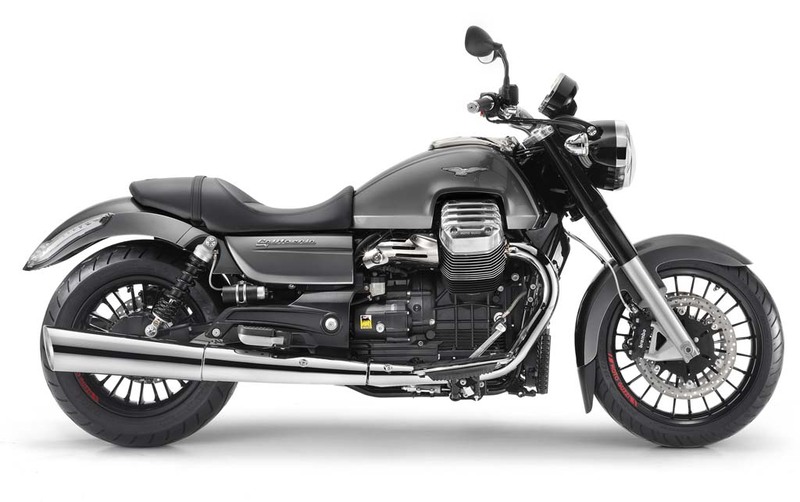 Last week, we got a peak at the new touring version of the Moto Guzzi California 1400, the new flagship cruiser from the Italian brand. 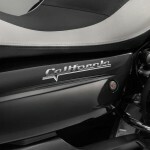 Piaggio has now presented the new California 1400 at the 2012 EICMA Show in both its touring trim and the custom version pictured above. 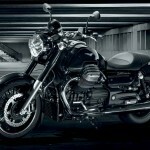 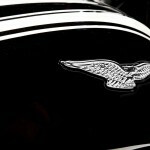 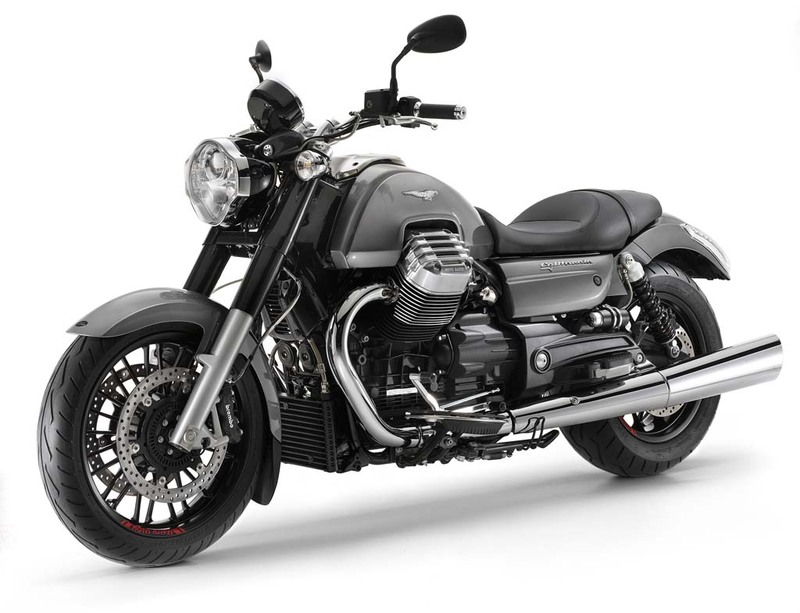 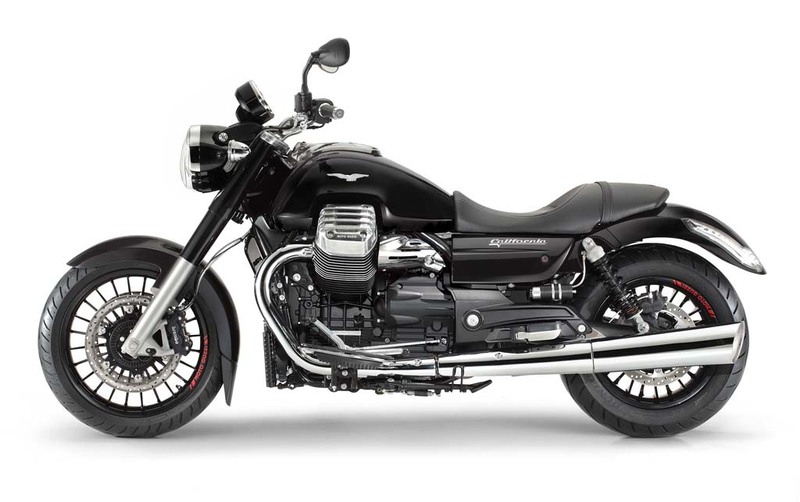 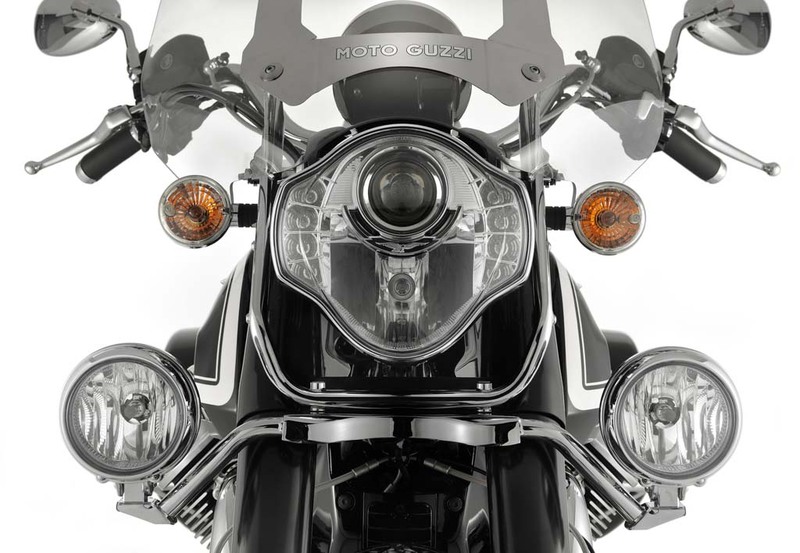 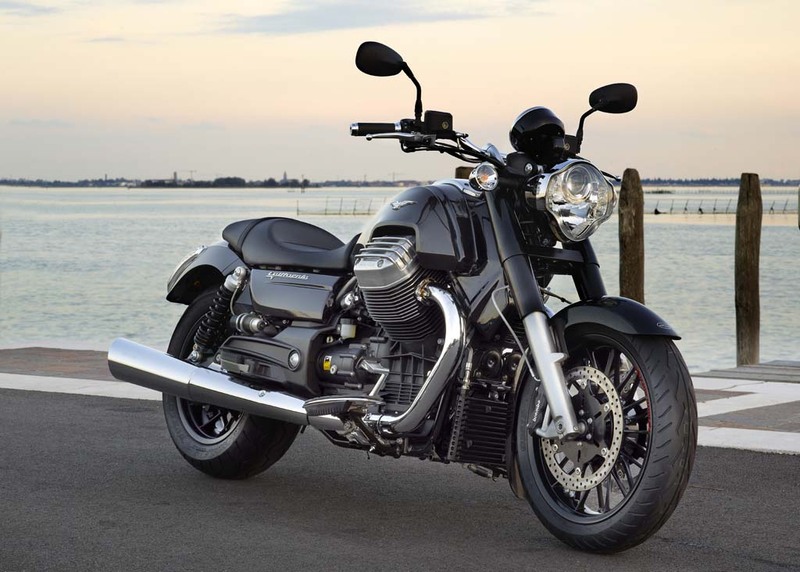 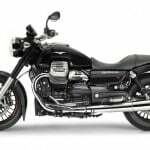 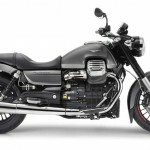 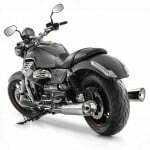 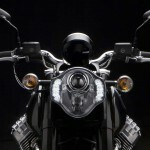 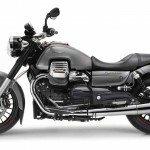 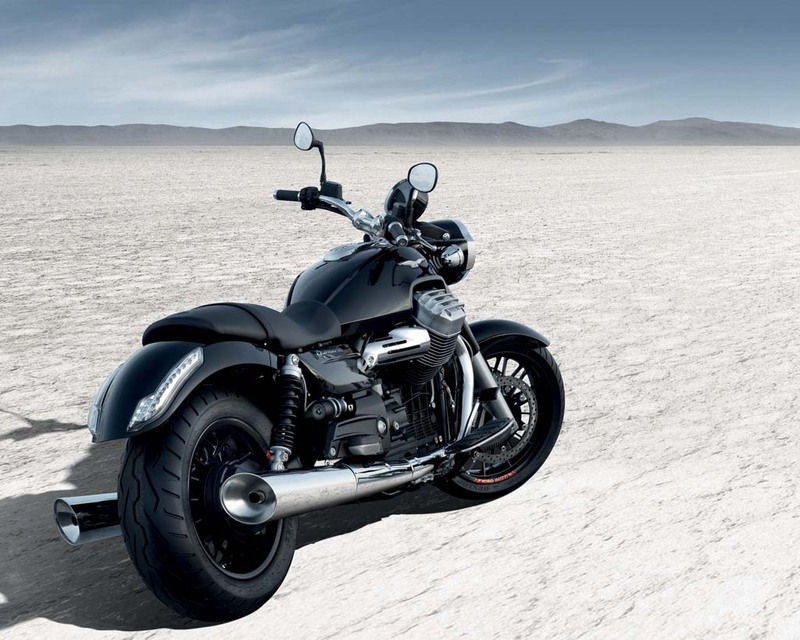 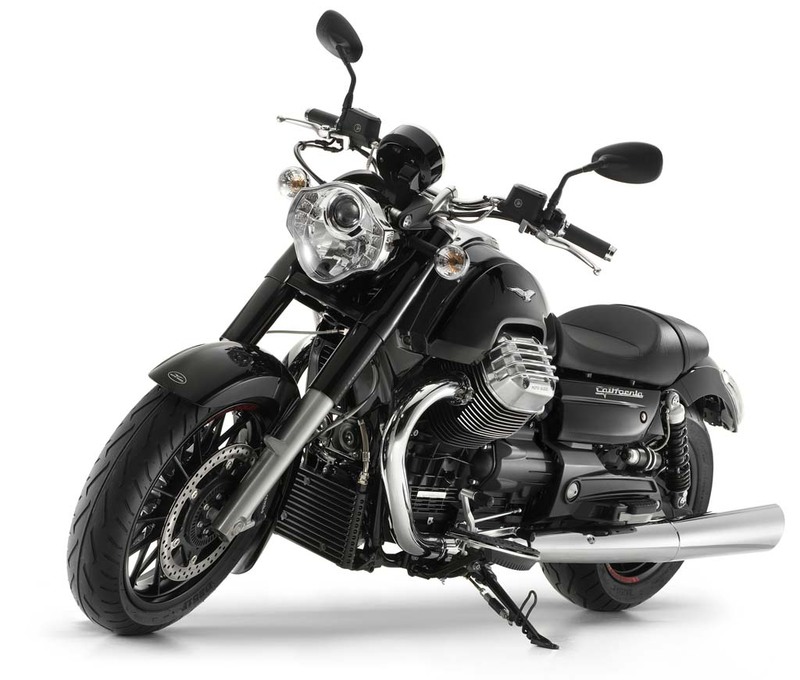 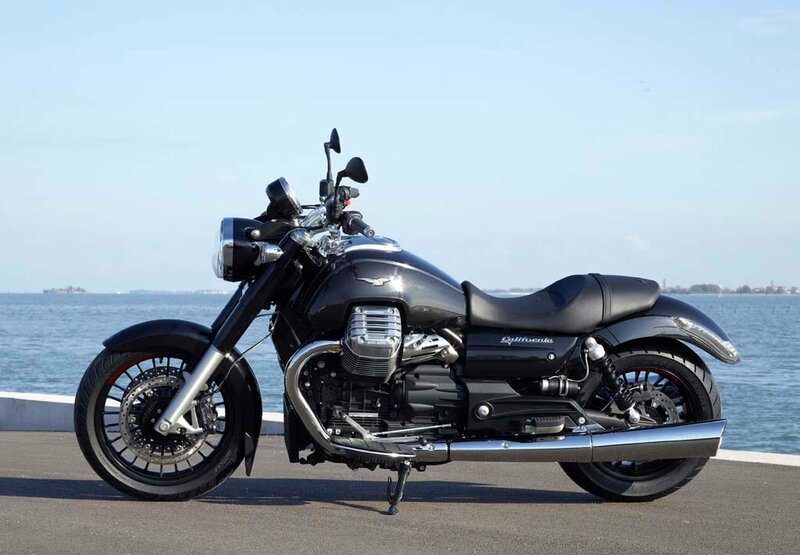 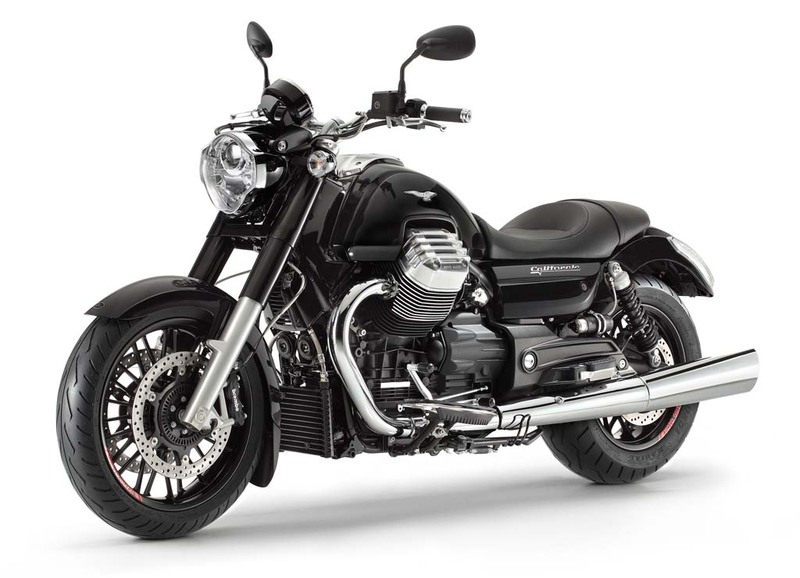 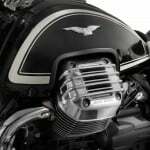 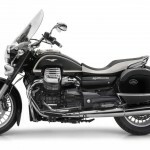 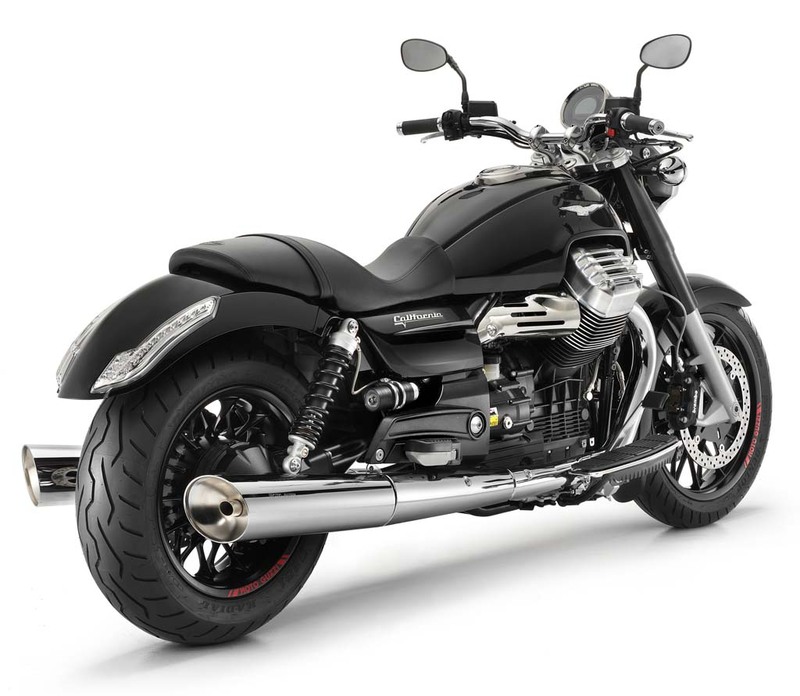 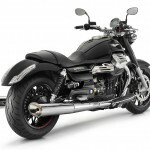 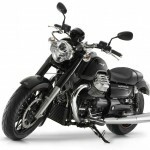 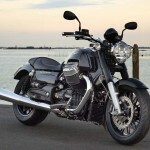 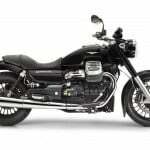 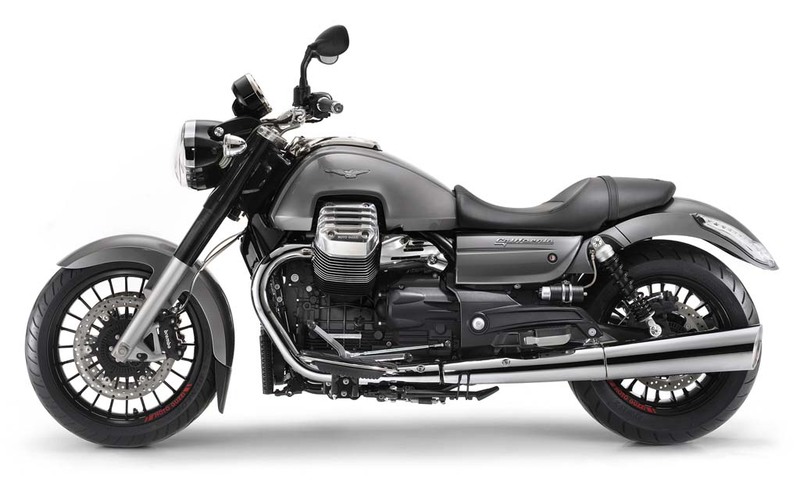 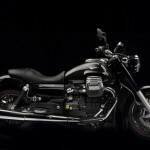 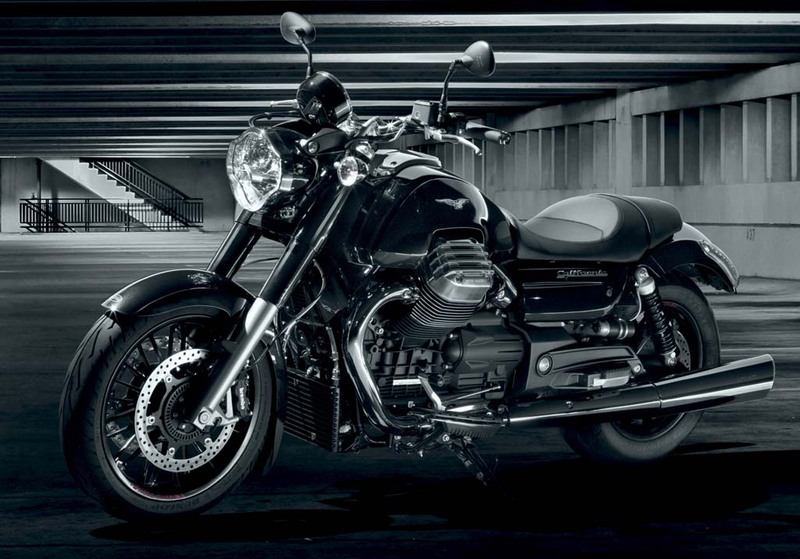 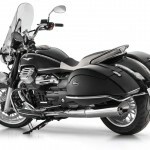 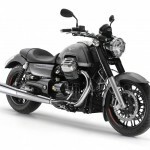 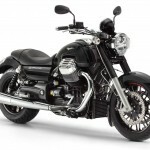 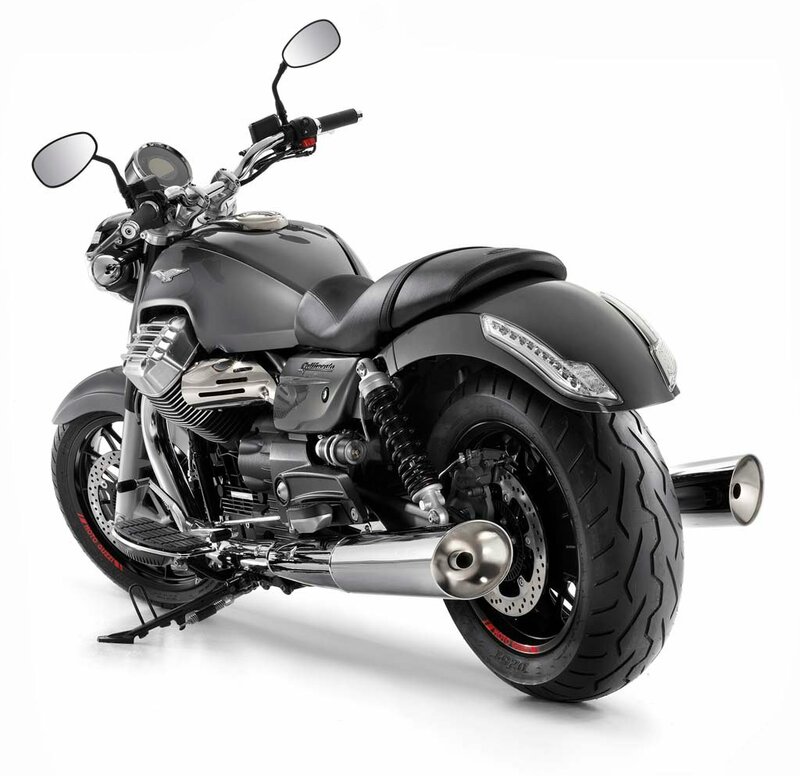 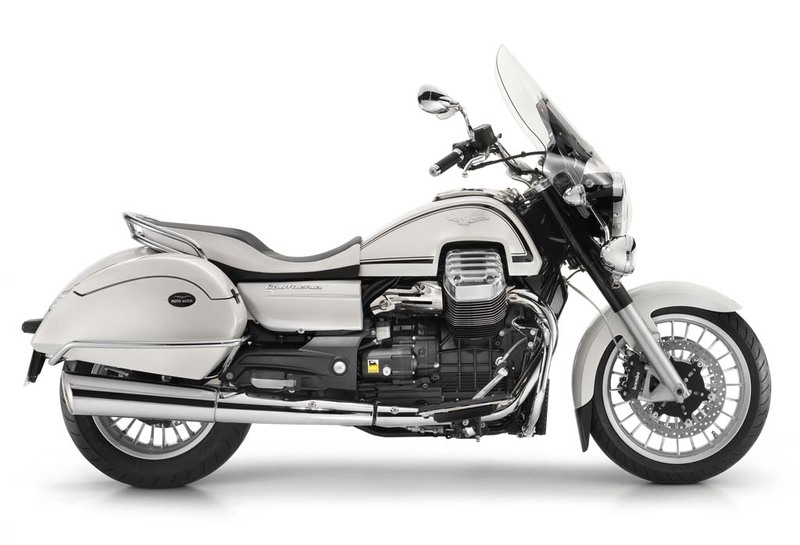 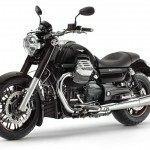 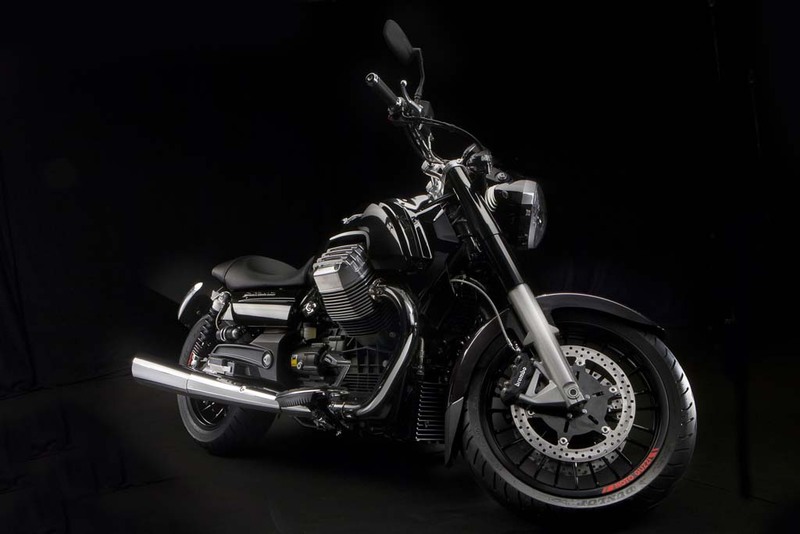 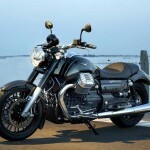 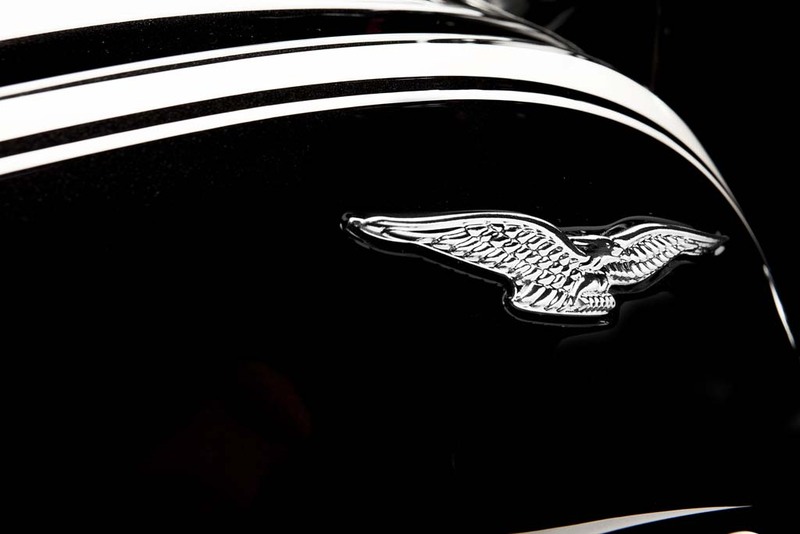 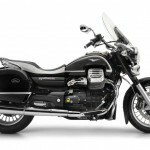 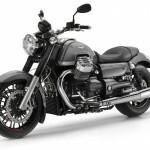 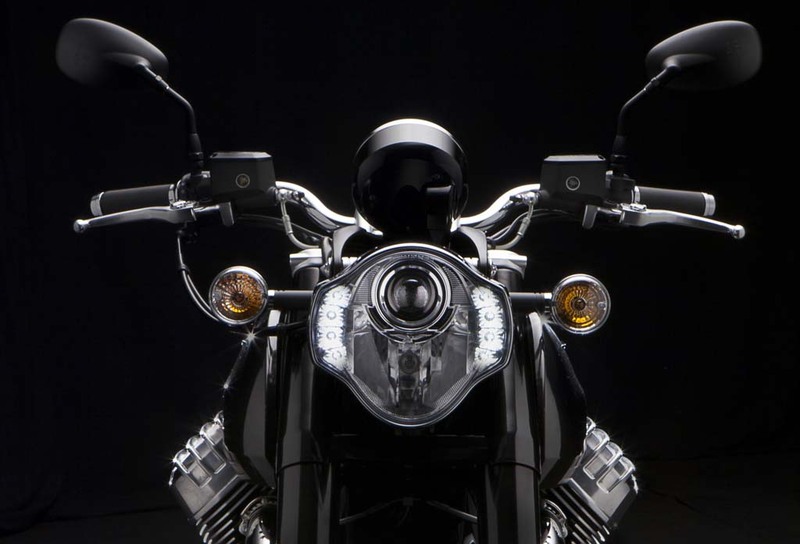 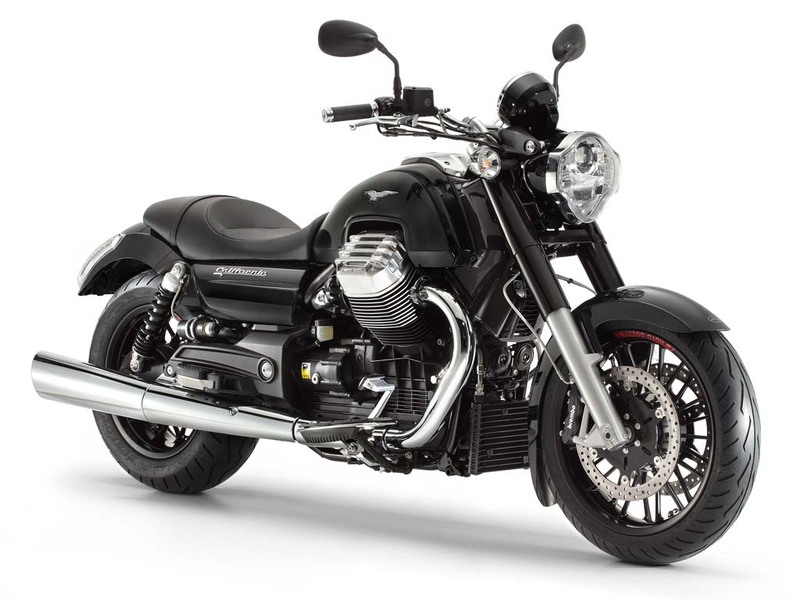 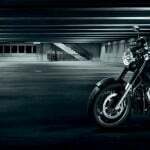 The new Moto Guzzi California 1400 is powered by a 1380cc V-Twin engine, which Piaggio claims is the largest V-Twin produced by an European manufacturer. 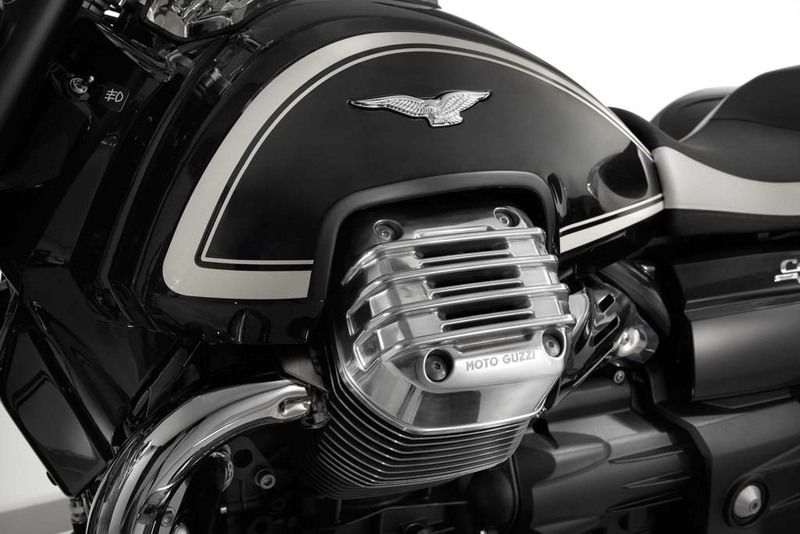 The redesigned four-valve engine has the same stroke as the previous California’s 1151cc engine but with a larger 104mm bore. 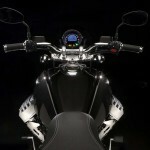 According to Piaggio, the engine produces 95 hp at 6500 rpm and 88.5 ft-lb. 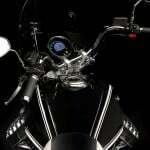 at 2750 rpm. 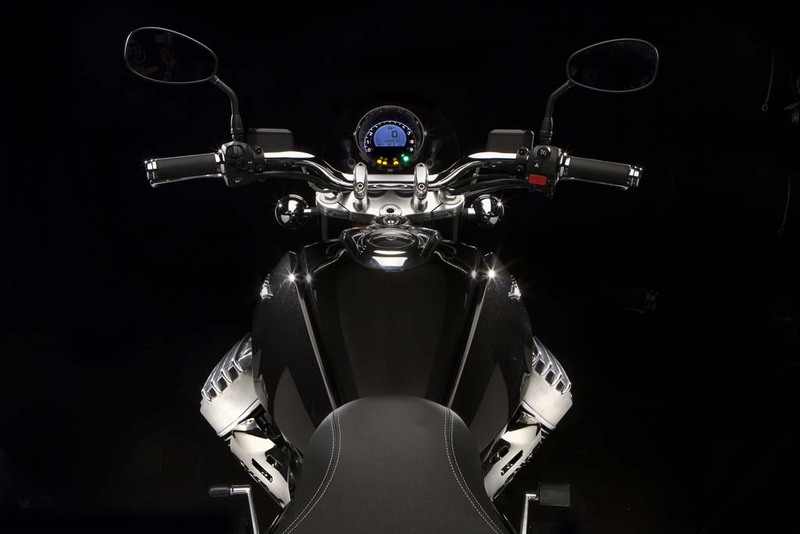 Despite the larger engine displacement, Piaggio still claims a 15-20% improvement in fuel economy compared to the previous version. 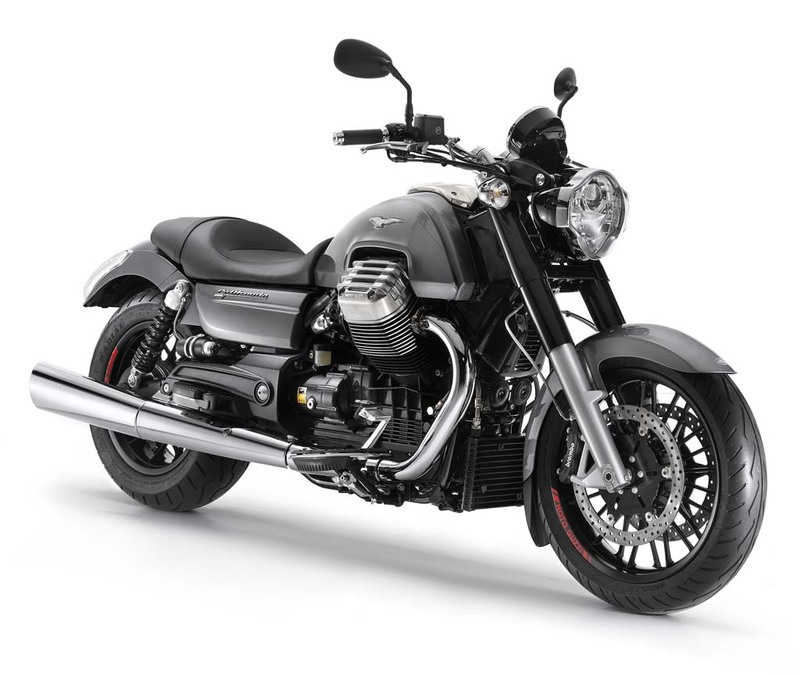 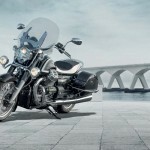 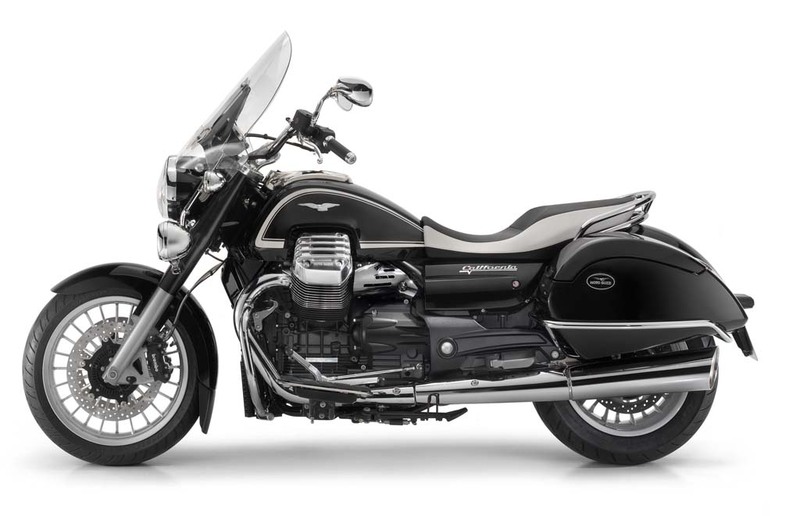 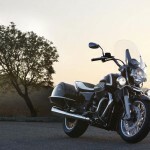 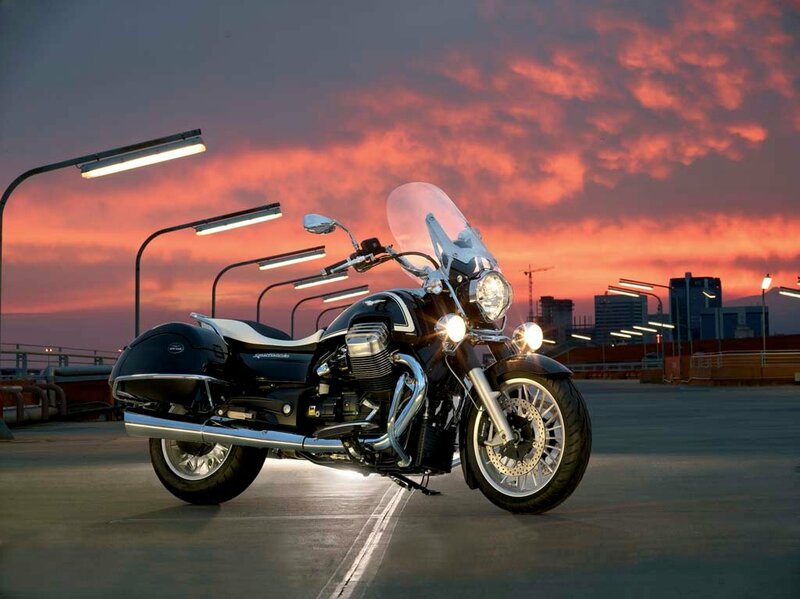 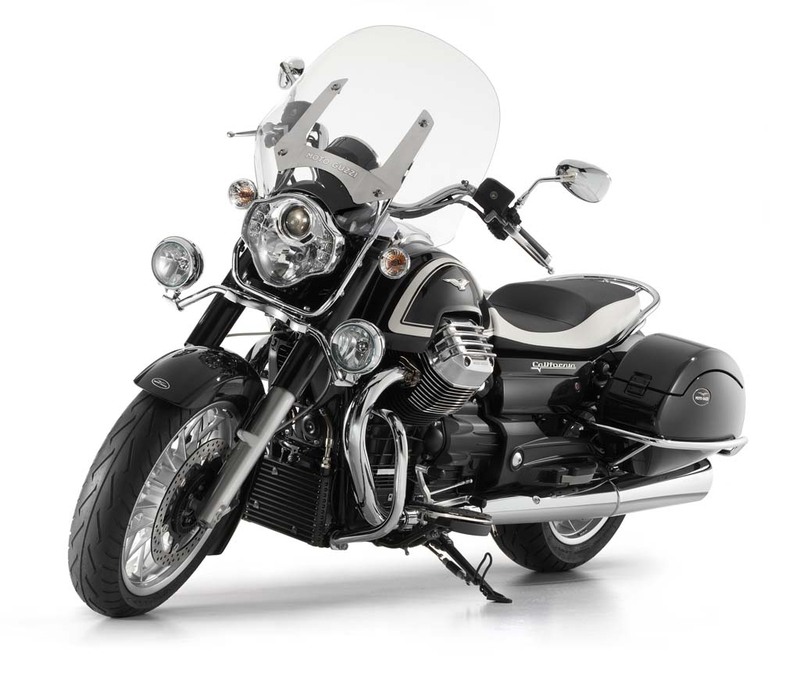 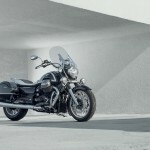 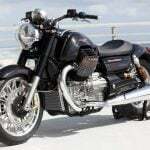 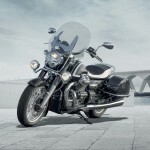 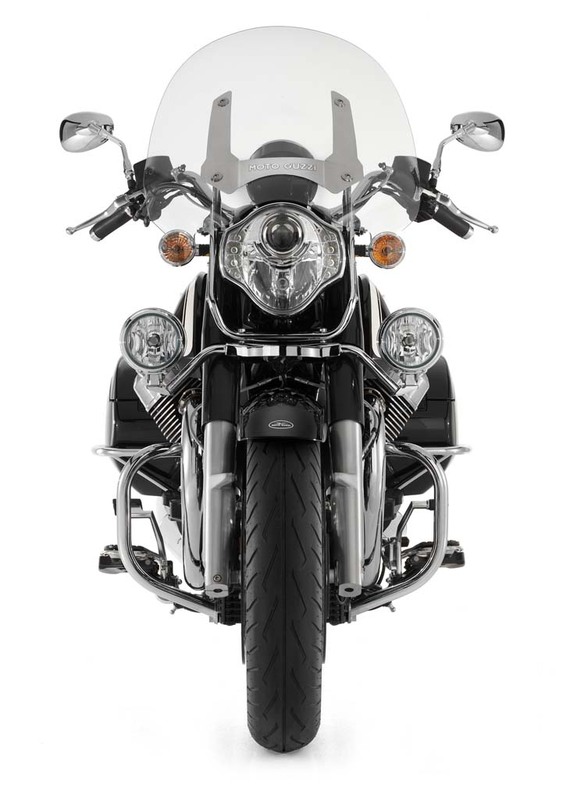 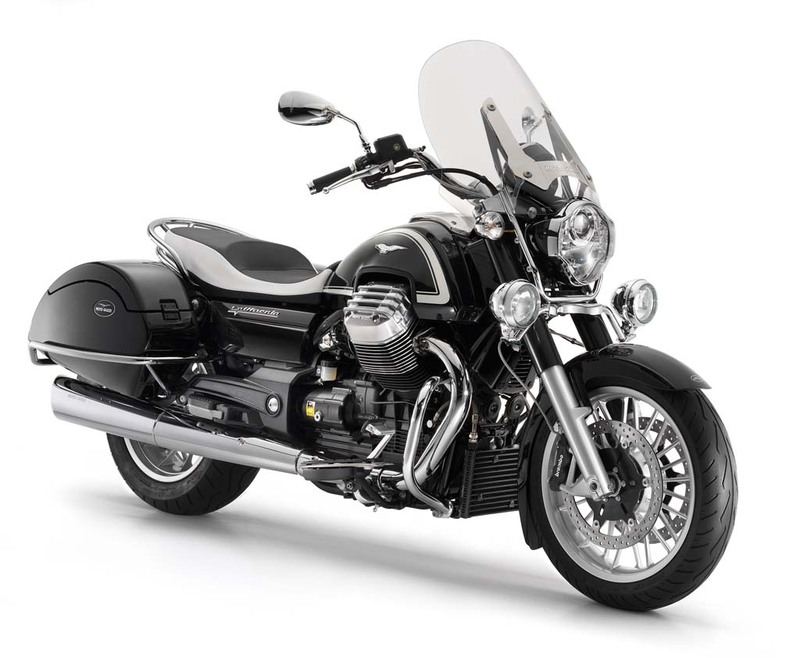 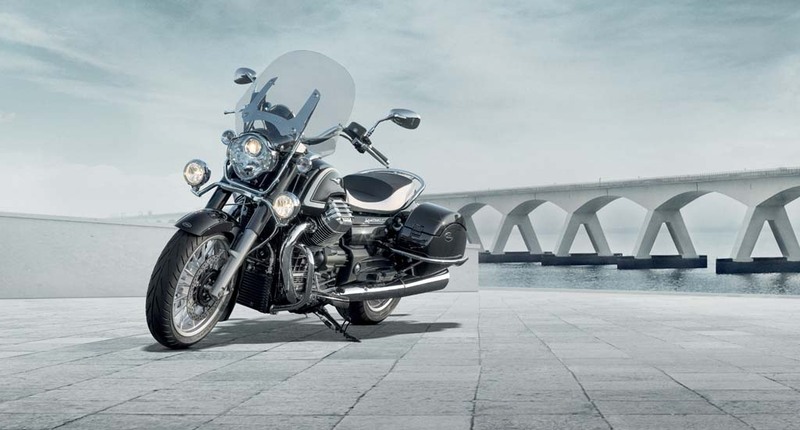 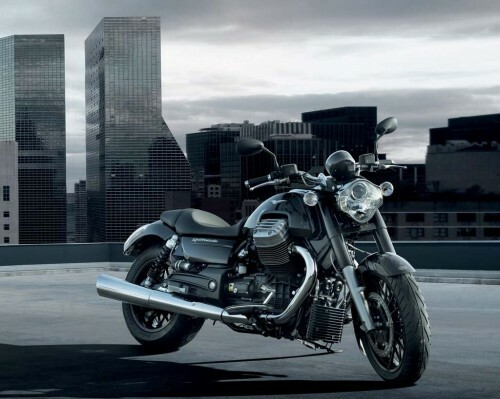 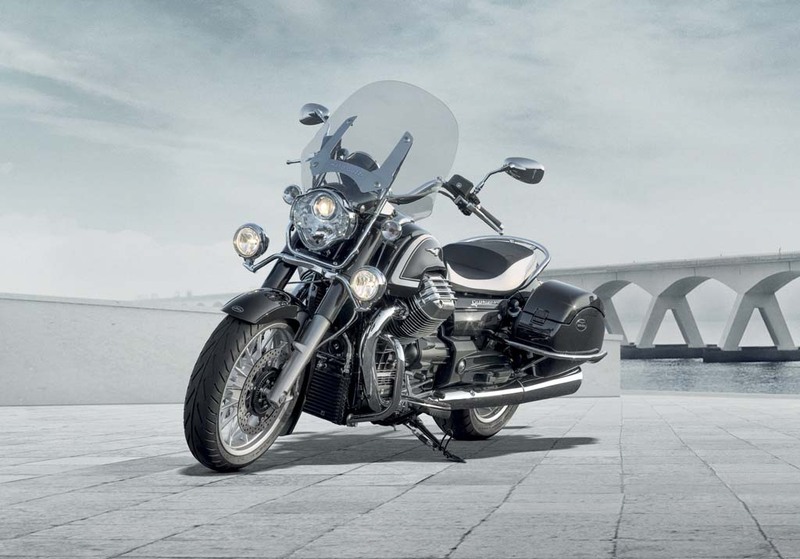 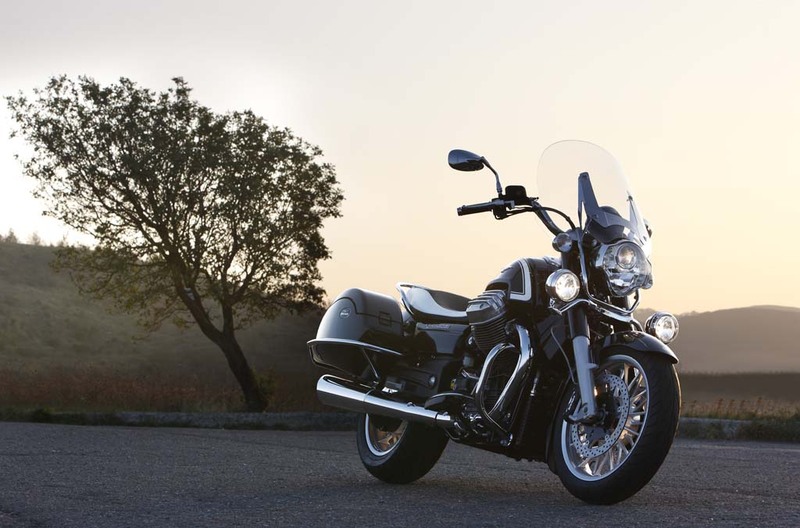 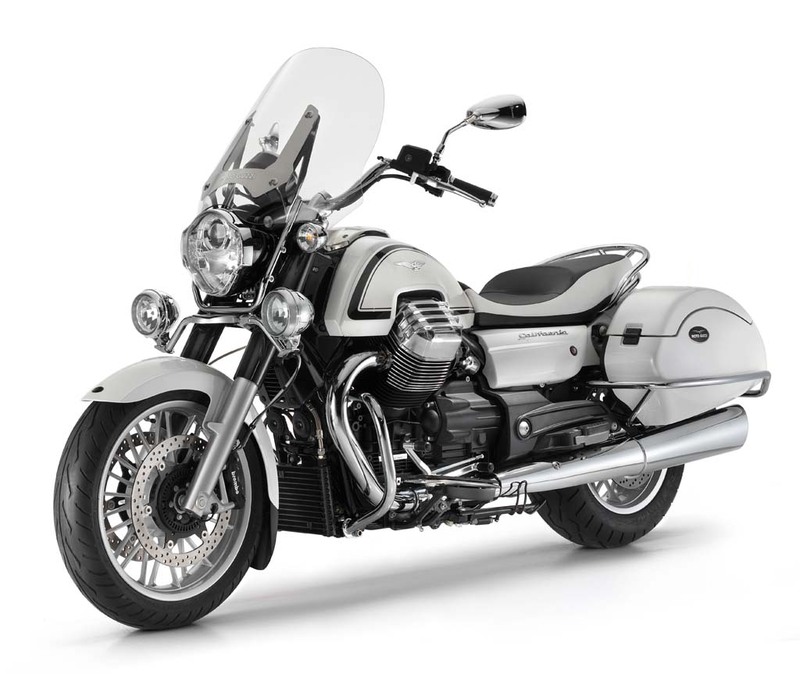 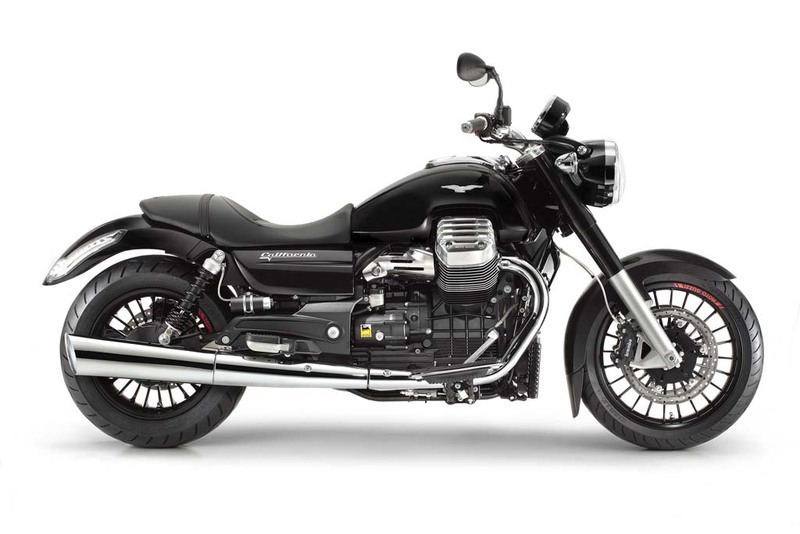 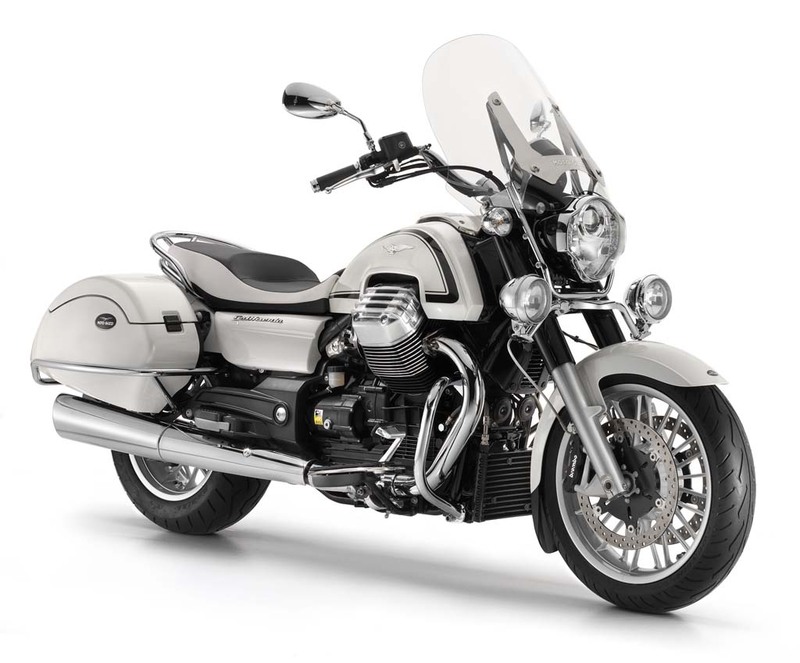 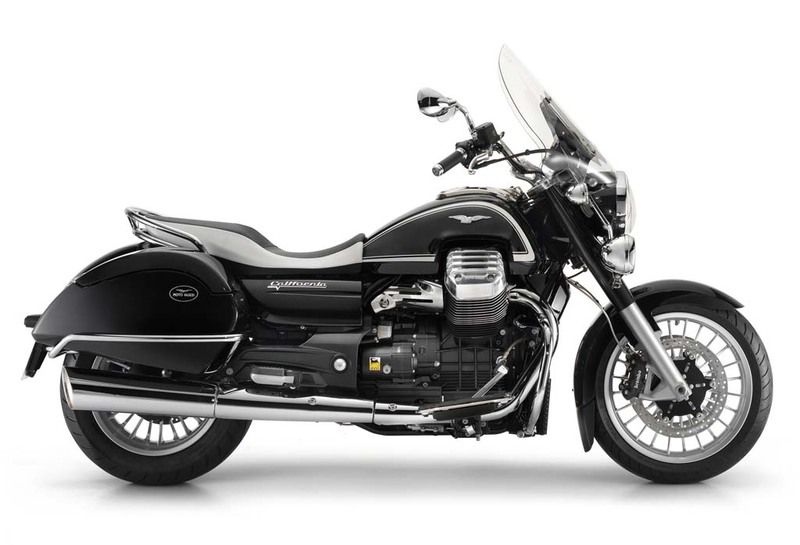 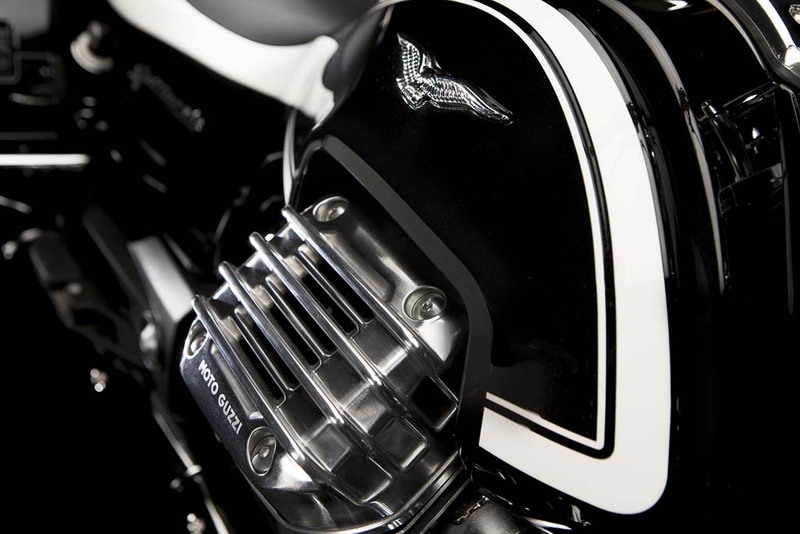 The two California 1400 models are the first Moto Guzzi cruiser with ride-by-wire technology, offering three engine mappings: Turismo (touring), Veloce (Fast) and Bagnato (Wet). 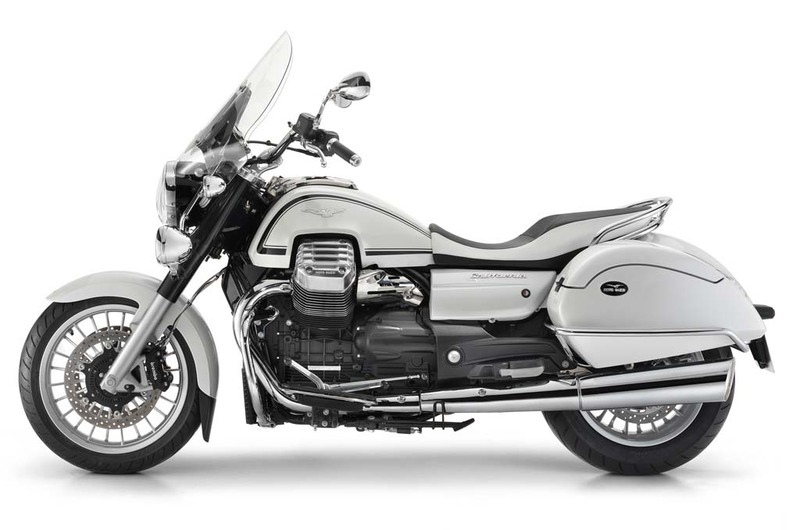 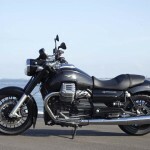 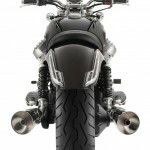 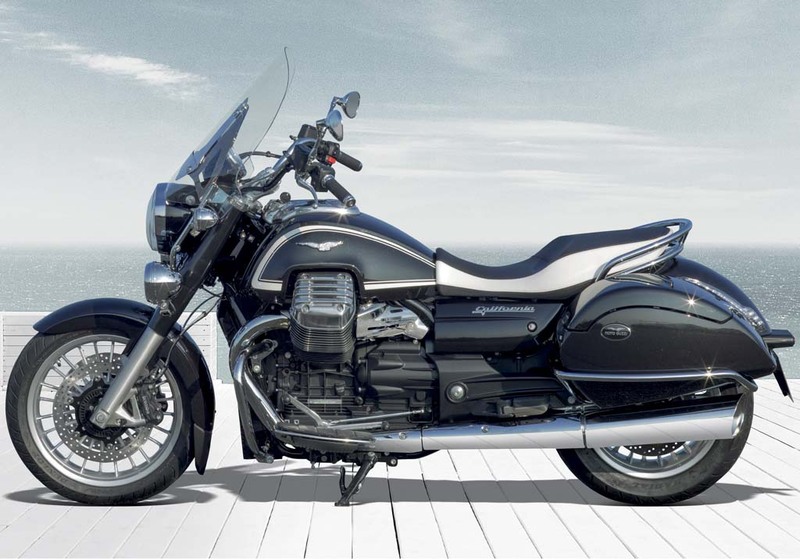 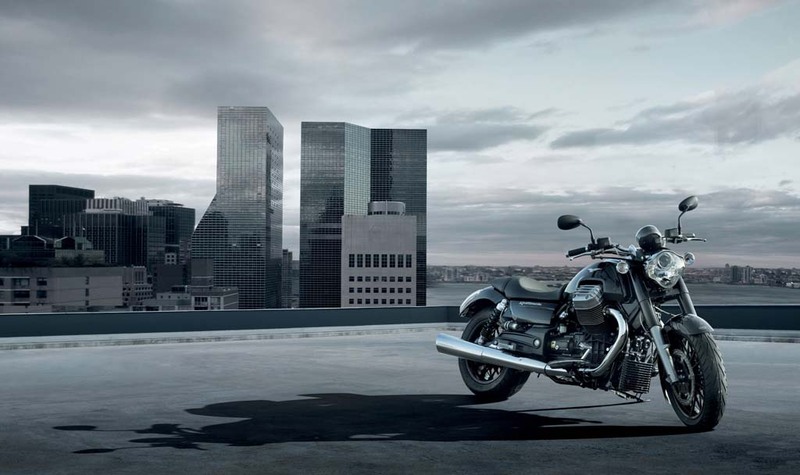 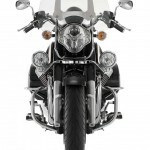 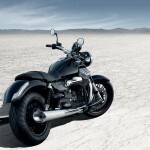 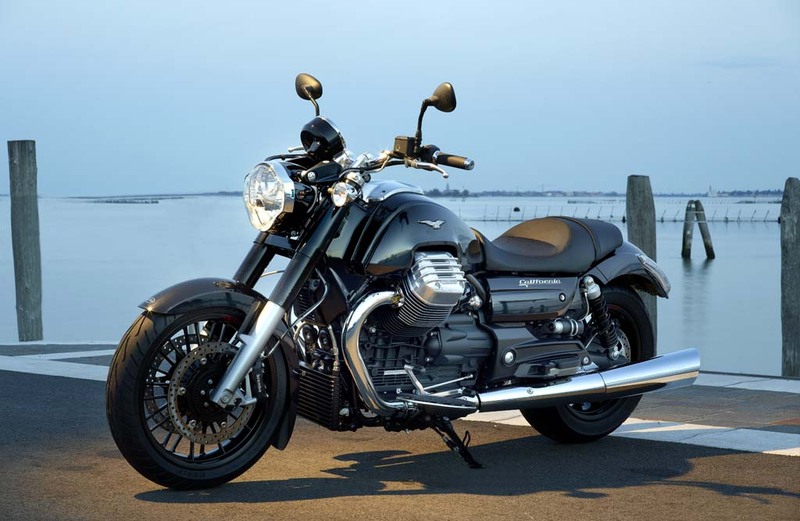 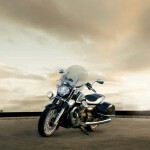 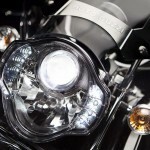 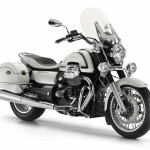 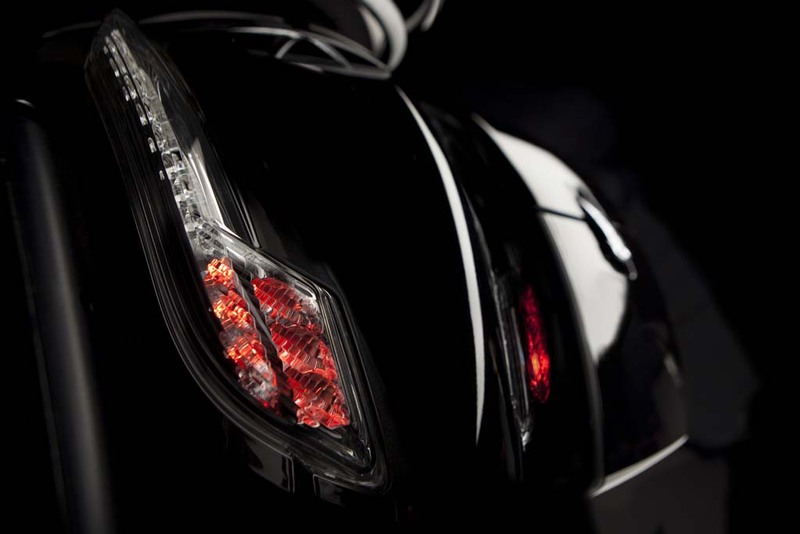 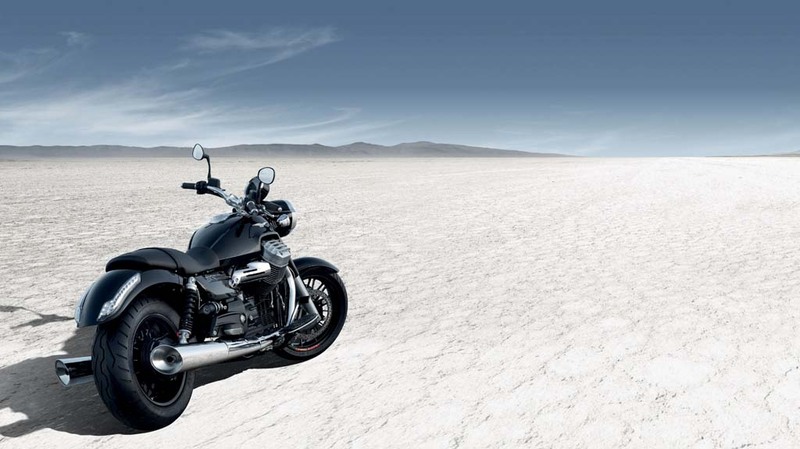 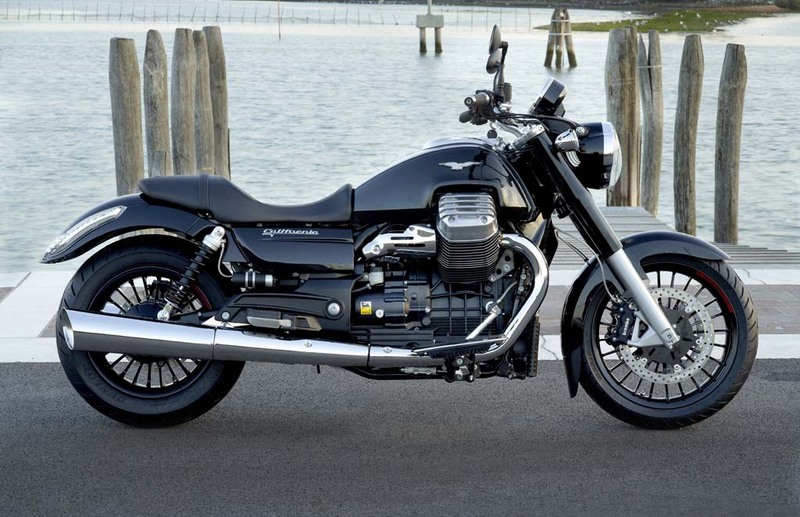 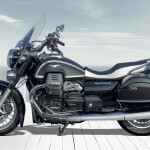 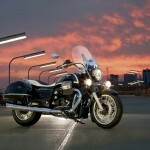 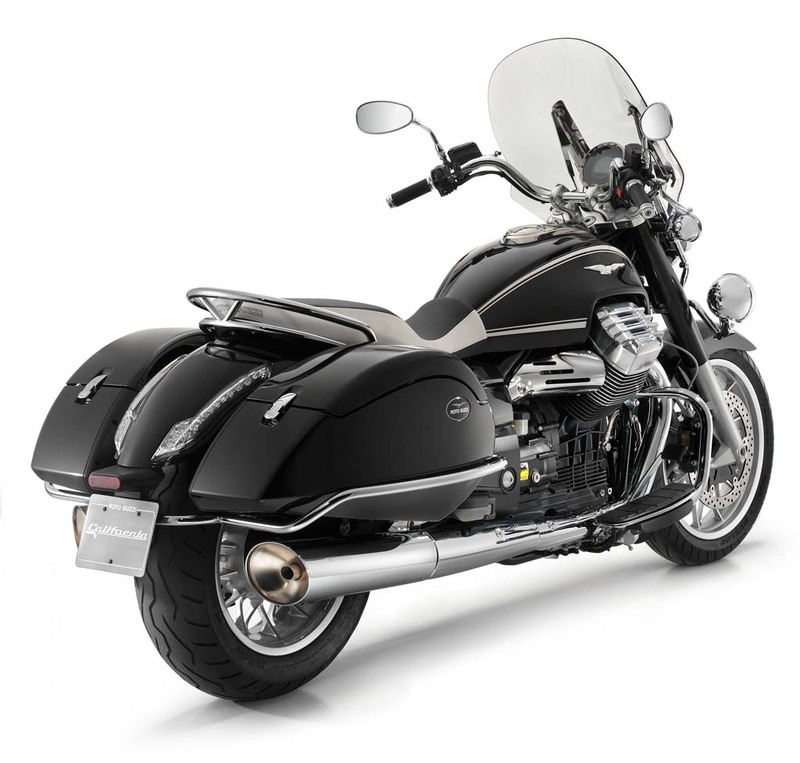 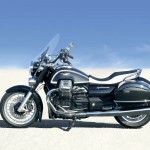 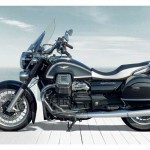 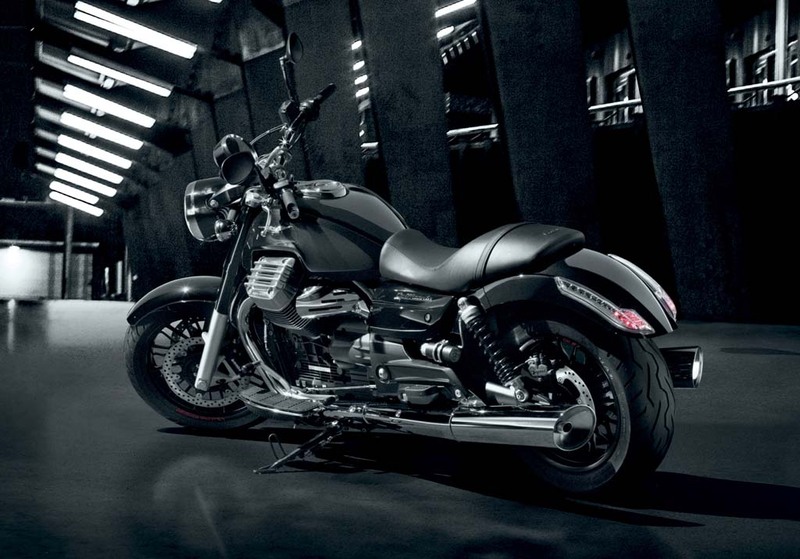 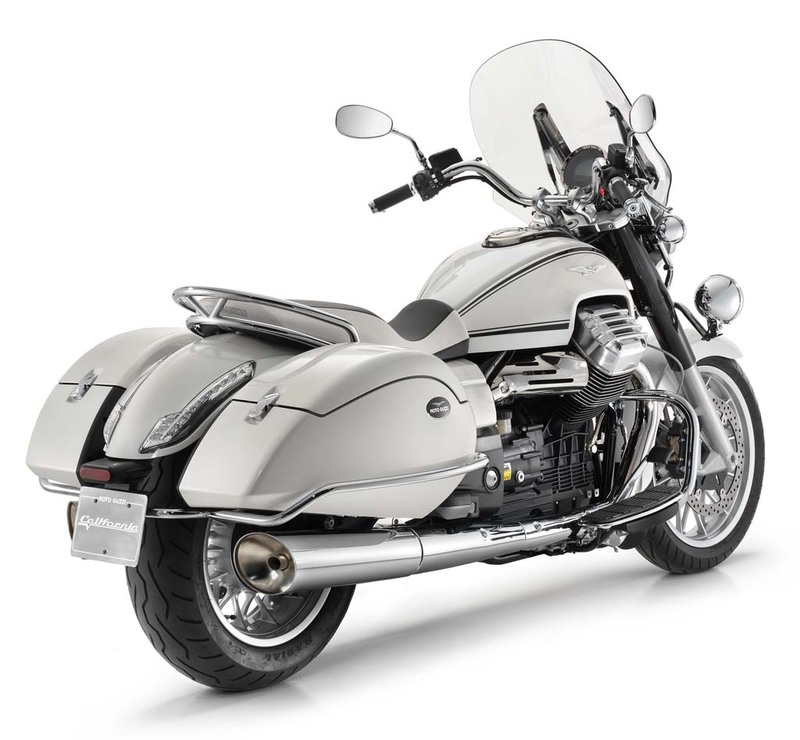 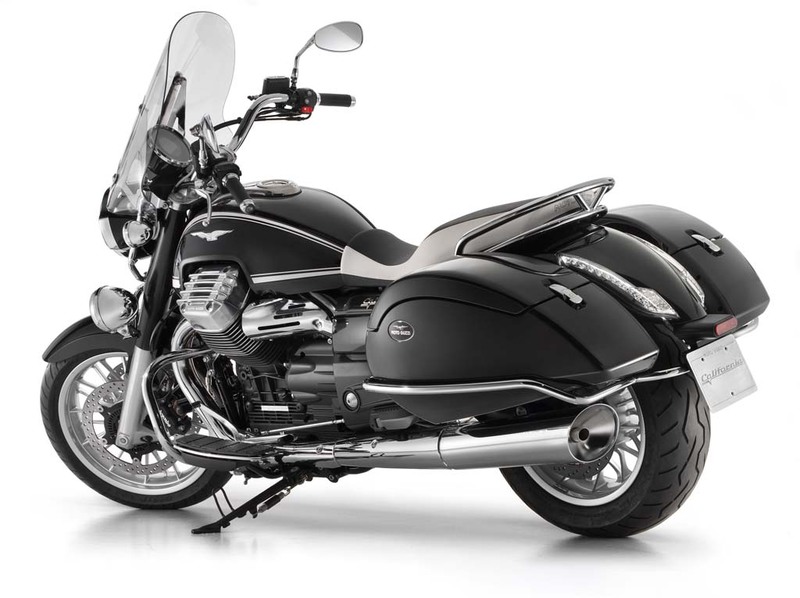 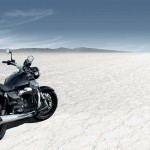 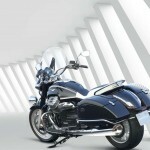 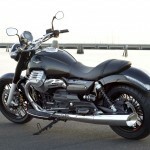 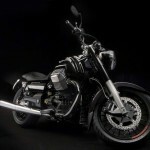 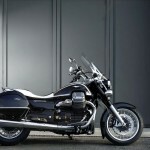 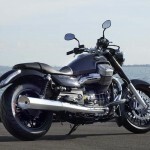 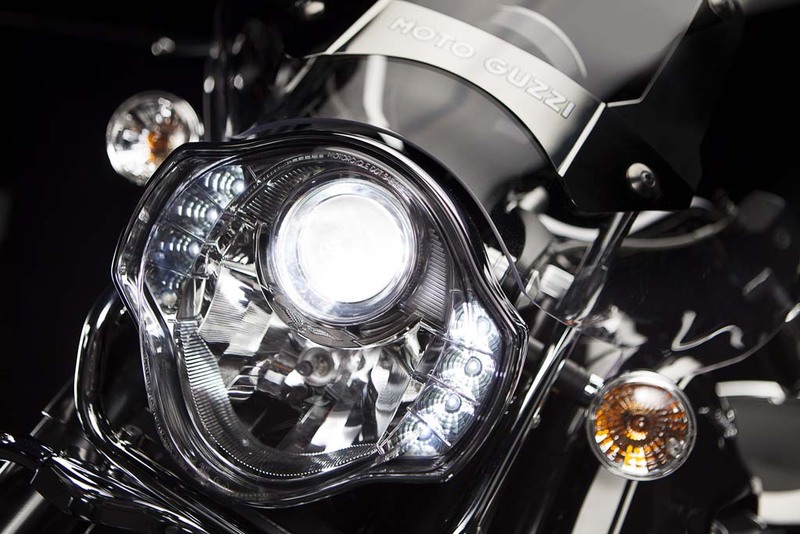 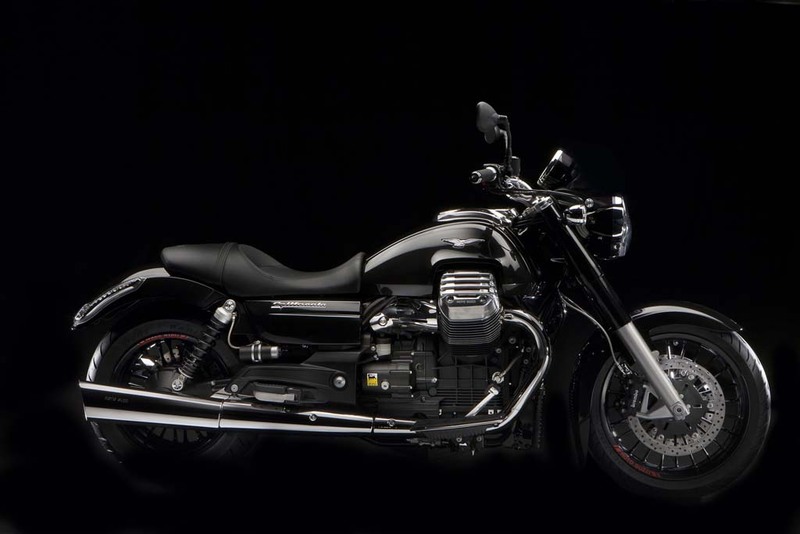 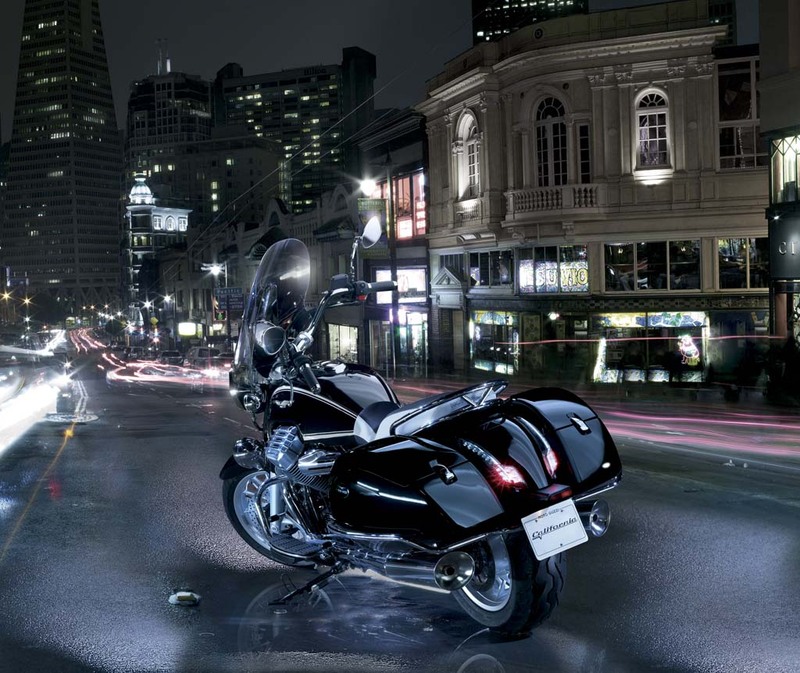 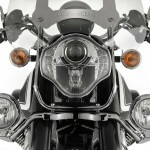 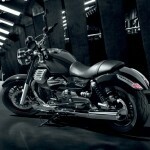 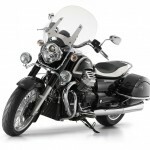 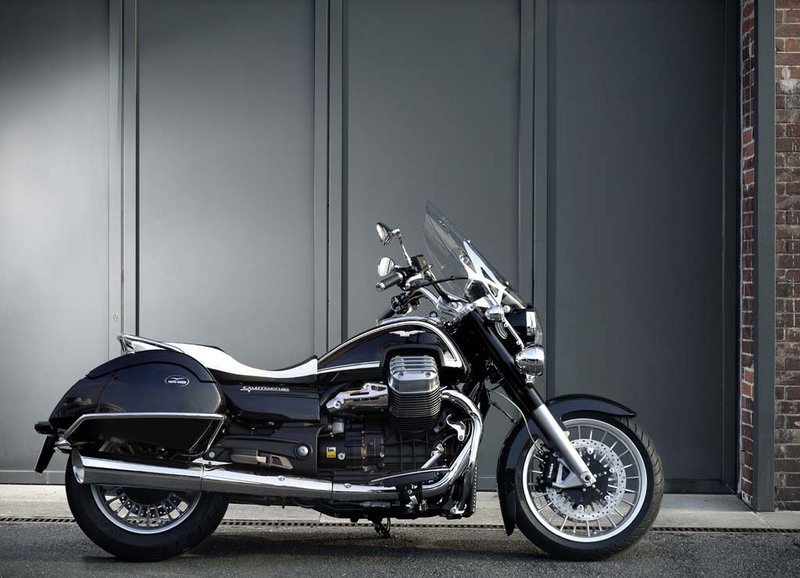 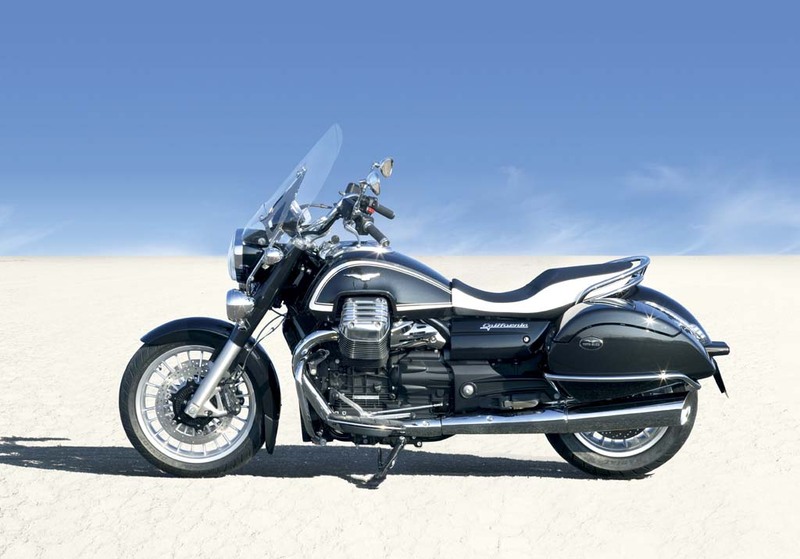 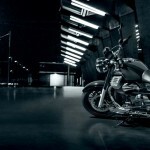 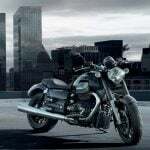 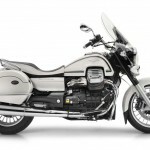 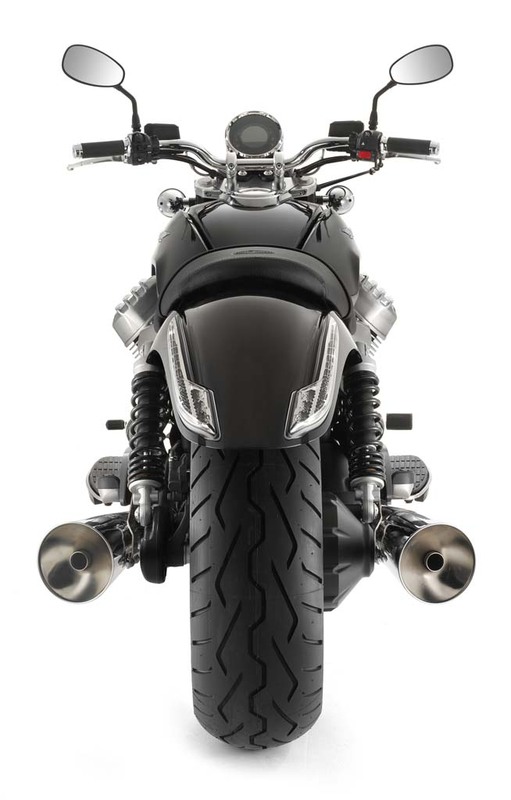 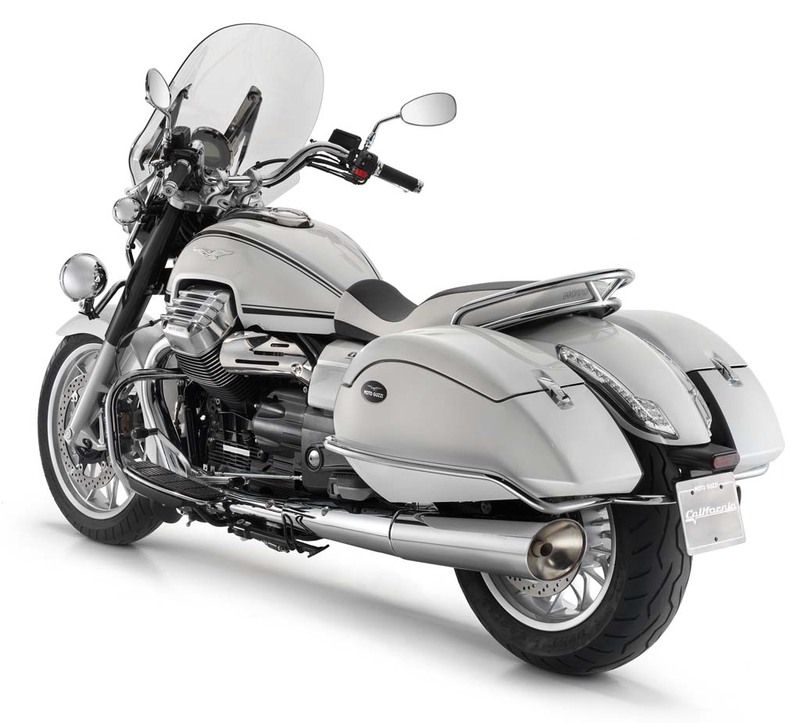 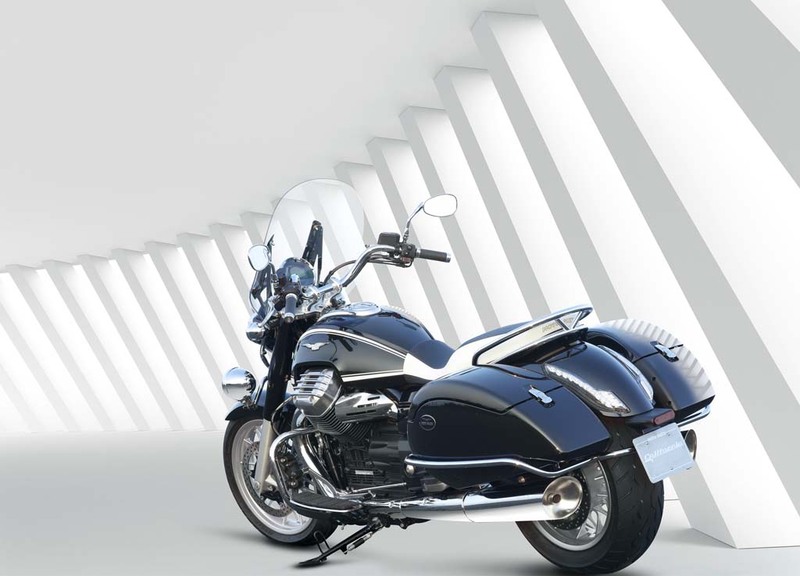 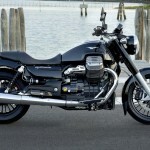 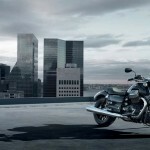 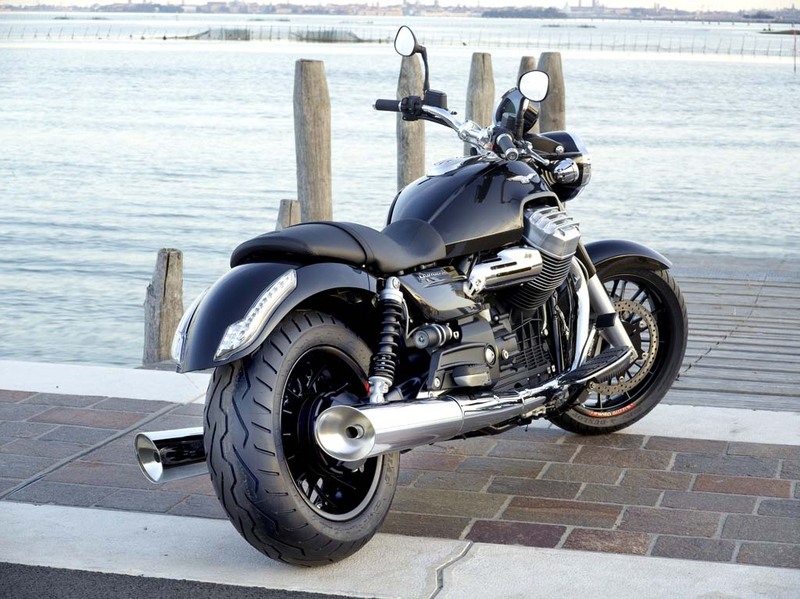 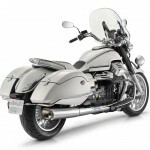 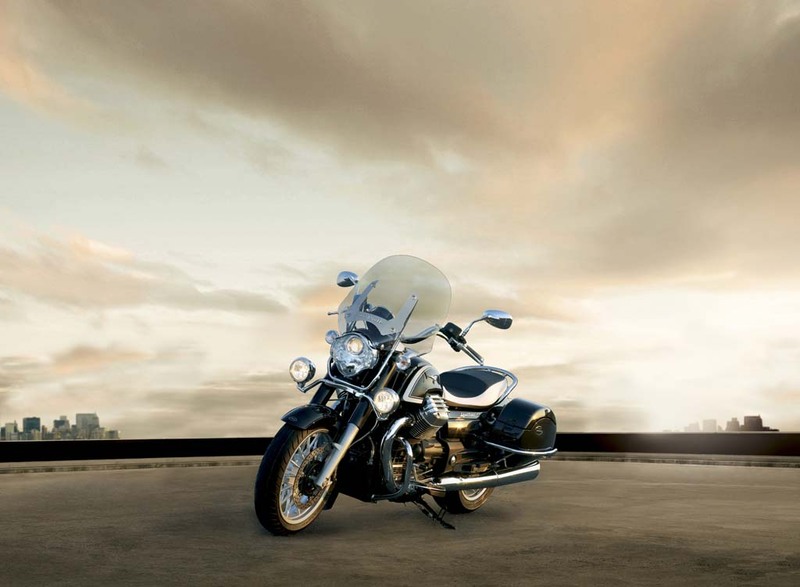 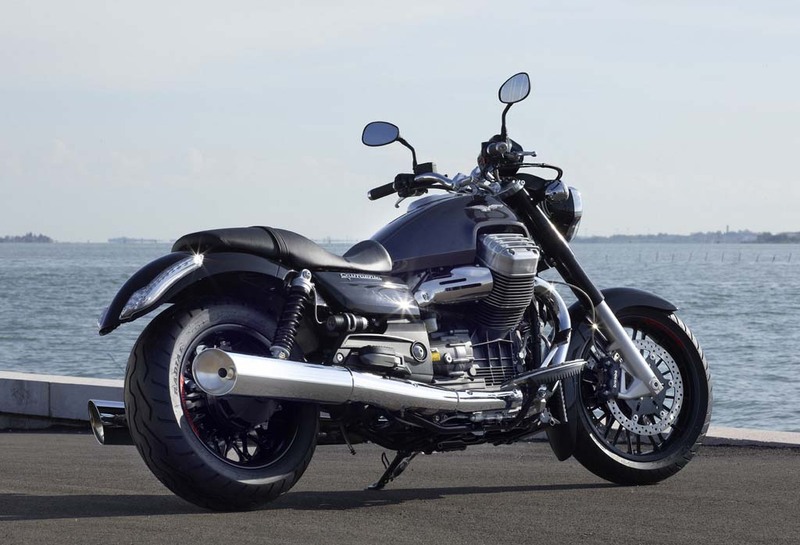 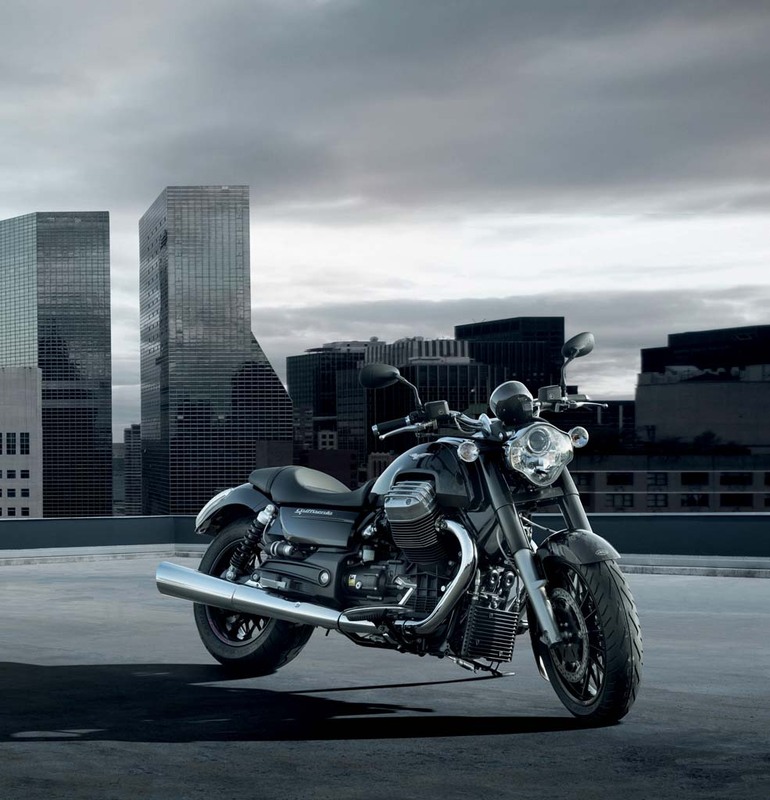 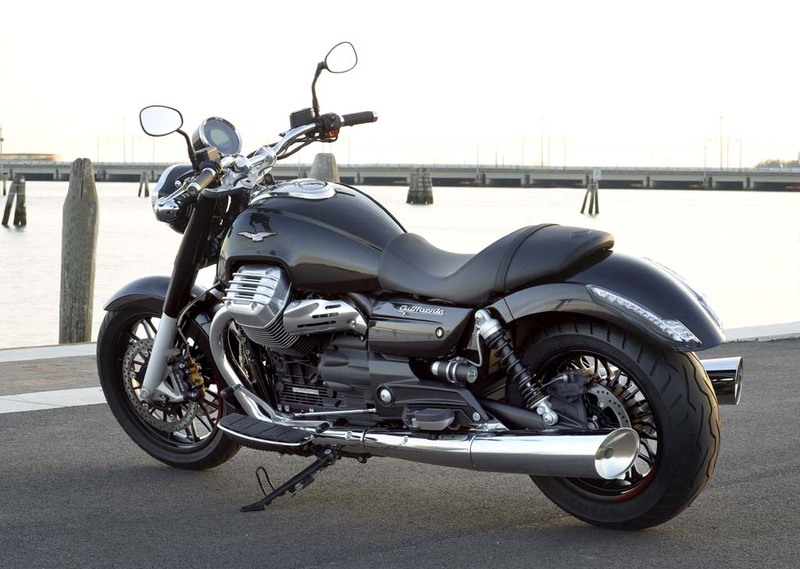 Moto Guzzi also equipped the California 1400 with a three-level traction control system. 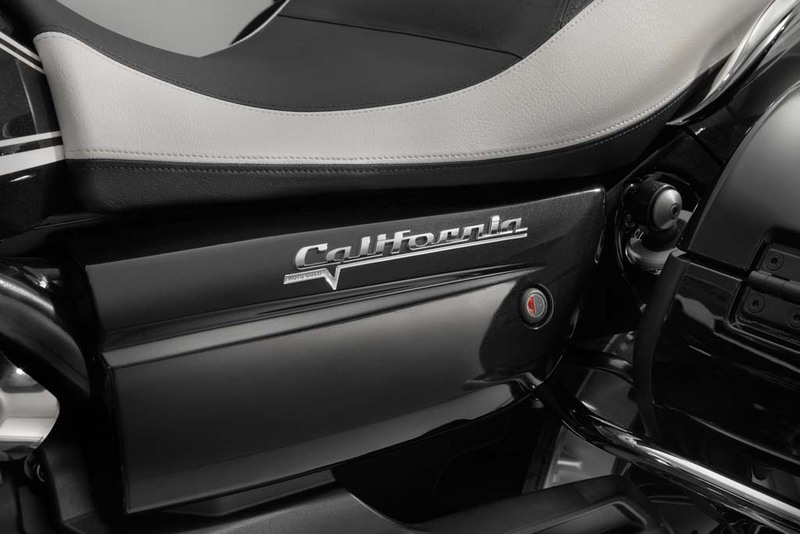 The new California also uses a six-speed transmission versus the five-speed gearbox used on the previous model. 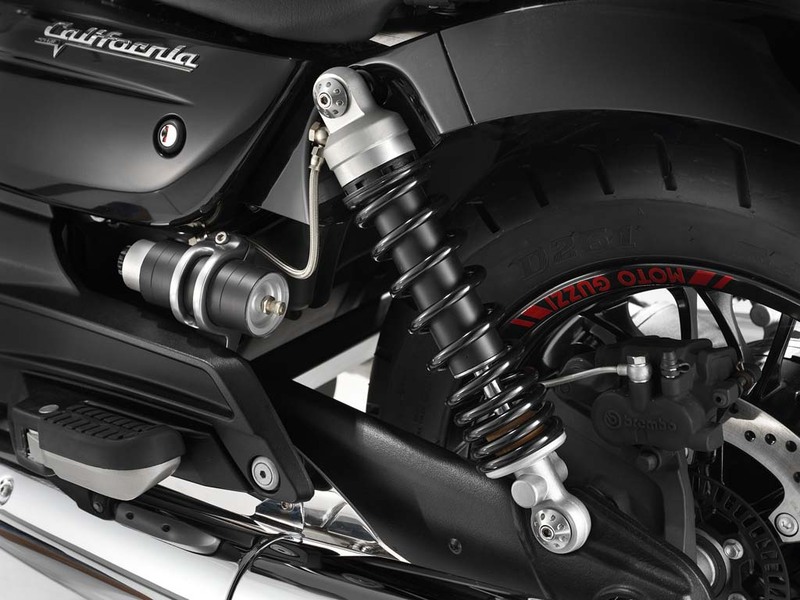 Both versions come with a 5.4 gallon fuel tank, radial-mount Brembo calipers, 46mm telescopic fork and double shock rear suspension with adjustable preload. 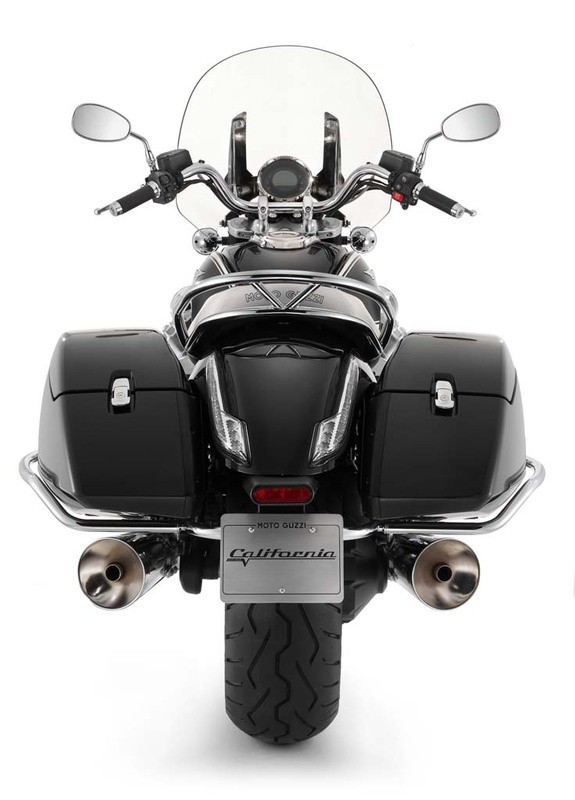 The wheels are a ribbed spoke design with an 18-inch front wheel wrapped in a 130/70 tire while the 16-inch rear wheel sports a 200/60 rubber. 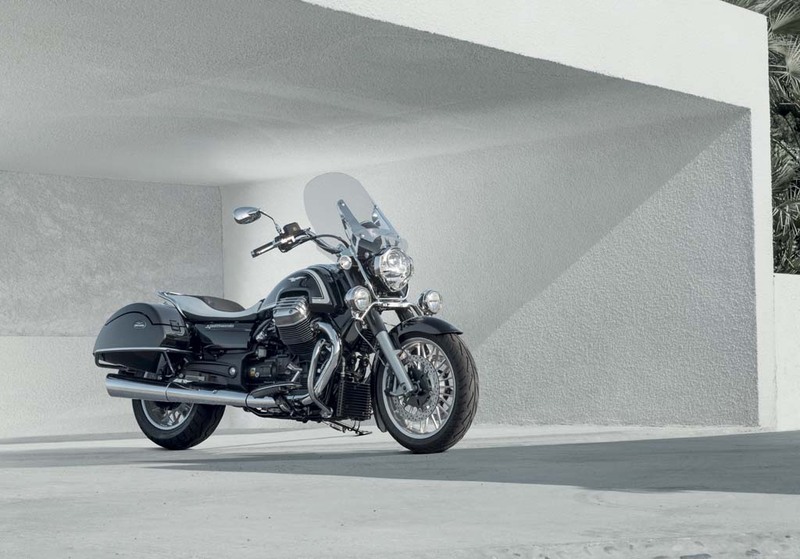 The Touring version comes equipped with a two-tone seat, windshield, 35 liter saddlebags, engine and pannier guards and chromium supplementary lighting. 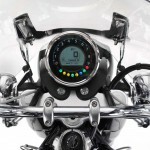 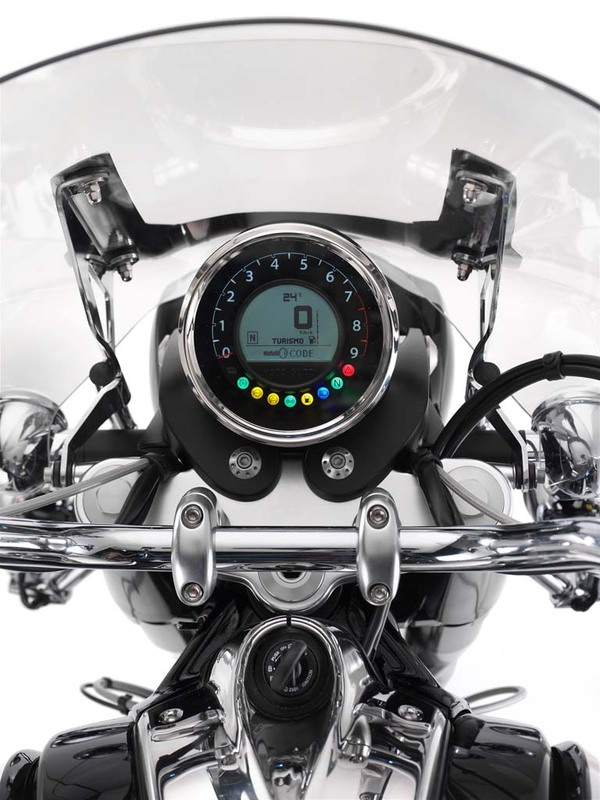 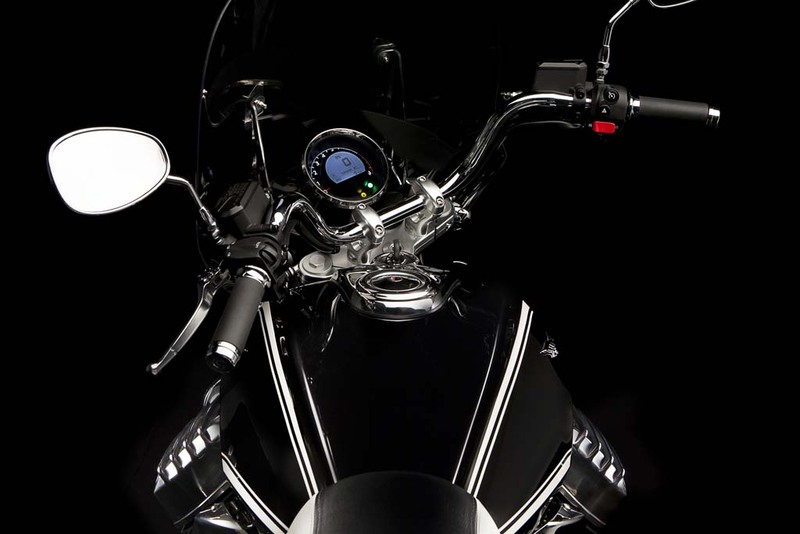 The Moto Guzzi California 1400 Touring is also equipped with the Piaggio Multimedia Platform which can turn an iPhone into a supplementary dashboard. 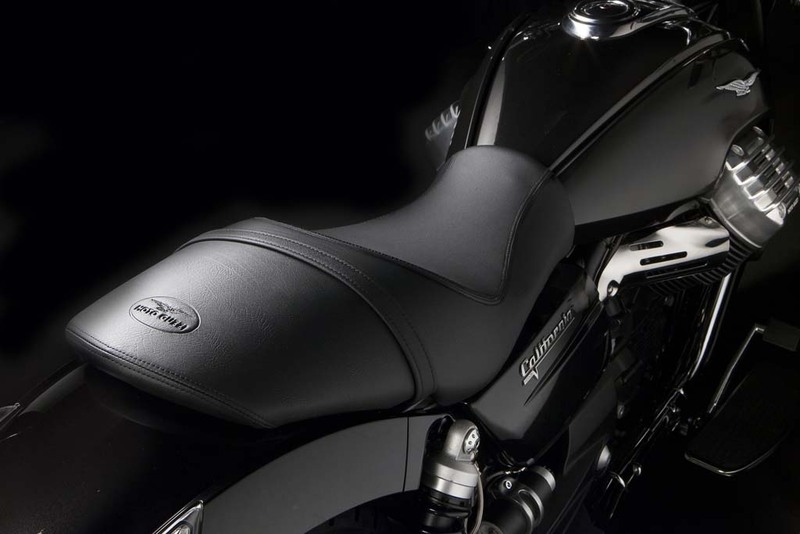 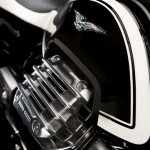 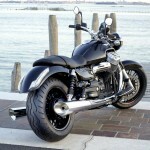 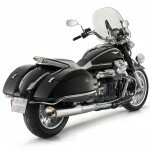 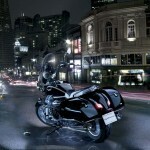 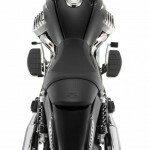 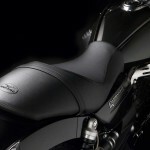 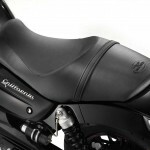 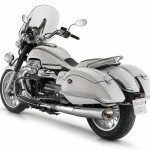 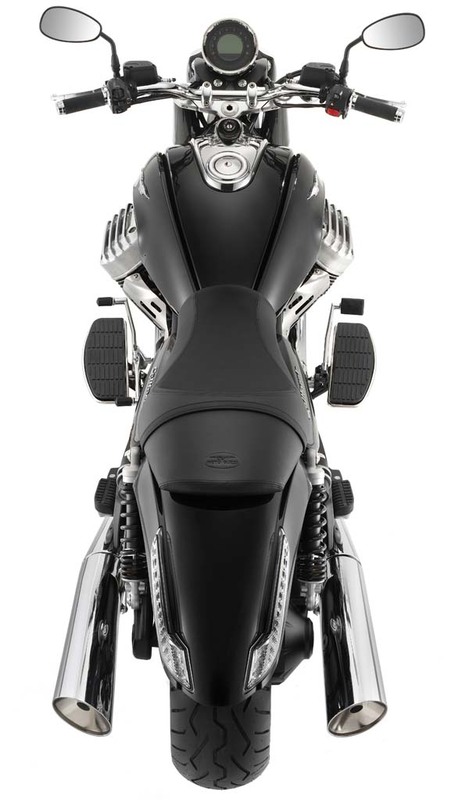 The Custom version comes in a mercury gray and basalt black color scheme with drag bar handlebars, low two-seat saddle. 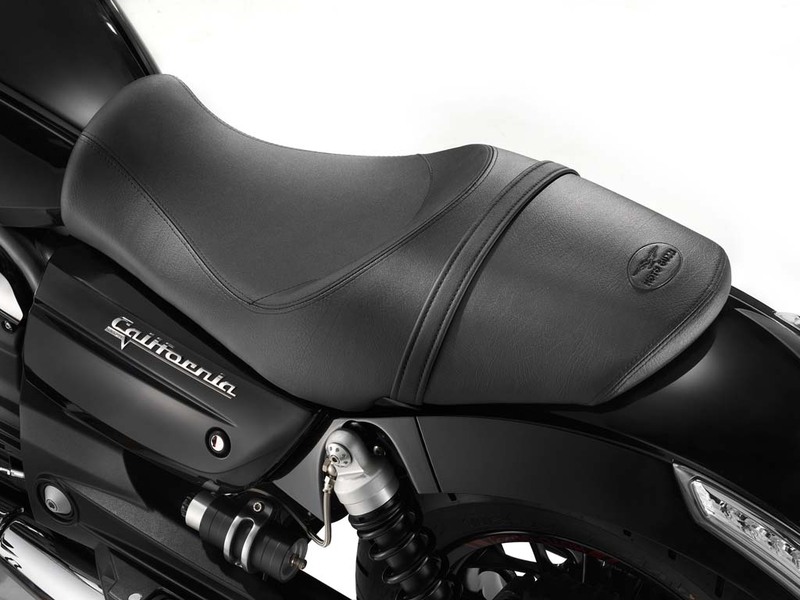 The Custom sits lower than the Touring version, with a seat height of 28.3 inches compared to 29.1 inches. 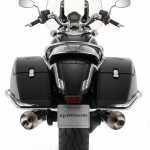 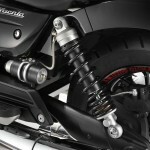 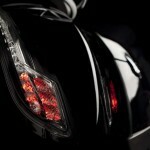 Piaggio also claims a kerb weight of 661 pounds for the Custom while the Touring claims a kerb weight of 710 pounds.